Sleep away, overnight resident camps offer a variety of programs that focus on healthy, developmentally, appropriate experiences, discovery, and learning opportunities for leadership and personal growth. Children live in cabins, teaching them to live together and to experience the benefits of Christian community. There is regular worship and Bible study with an opportunity for commitment to Jesus Christ. One-to-one relationships with counselors reinforce Christian Values. Skill development and recreation are also important. Campers are taught how to play games well, and also how to play for fun. A balance between competitive and non-competitive activities is maintained. Programs are geared to discovery and togetherness. Campers have numerous opportunities to create happy memories. 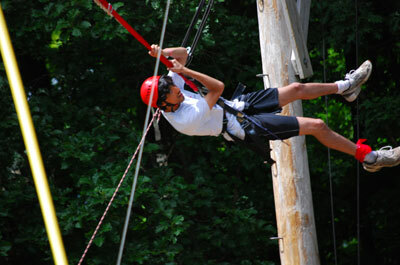 Camp Cpley is a one week, co-ed, overnight camp for girls and boys entering grades 3-12. A week-long co-ed resident camp held at the beautiful Mount Allamuchy Scout Reservation where campers will have the opportunity to experience adventures and take on new challenges that help them feel good about themselves. Age appropriate activities include swimming, boating, first aid, ecology, outdoor skills, hiking, crafts, rock climbing, all terrain vehicles, shooting sports, COPE (challenging outdoor personal experience), sports, games, songs, campfires and a Thursday night dance with a DJ. Campers are divided by grade level and gender, and are supervised by Camp Coley counselors as well as the Boy Scout staff. Open year round, the camp offers a wide selection of cabins, leantos and tent sites. Its large capacity cabins and campsites are particularly attractive for scouts and other youth groups. While camping in the Glen, you can hike trails with scenic overlooks, fish in Lake Vreeland, or simply enjoy nature. Family camping. Every child must be accompanied by at least one adult family member (21+) An overnight family camping and hiking facility with over 750 wooded acres in the Ramapo Mountains where families and groups can rent cabins, leantos, and tent sites. 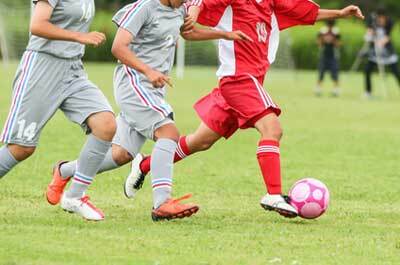 They offer a wide array of fun outdoor events and activities for your families enjoyment. Their camp programs are geared to teaching people of all ages to enjoy the wilderness. Run by the Salvation Army. Camp Tecumseh is focused on promoting spiritual, physical, and emotional growth through the Word of God and the love of Christ in a safe and fun environment. The programs at Camp Tecumseh help campers from varying backgrounds grow to responsible maturity through application of Christian principles. The well-trained staff is selected for their interest with children, related education and camping experience. In fact, many of the staff are former campers. Activities include swimming, boating, hiking, fishing, crafts, music, drama, archery, disc golf and more. They offer 12- and 19-day trips provide exciting and challenging age-specific adventures for campers ages 6-17, having completed 1st through 11th grades. The camping programs bring together a large group of campers and staff members from various races, religions, and cultures to live, learn and play together. They are committed to providing enriching summer camp experiences to deserving young people from communities with limited opportunity and choice. They aim ensure that summer camp is affordable for all children. Each child's fee is set individually, taking into account family income and size and using a sliding fee scale. Our fees are a great deal less than other summer programs, and sibling discounts are available. Financial aid and scholarships are offered based on eligibility. Transportation to camp is provided from NYC, Nassau and Suffolk counties, and selected locations in New Jersey at no additional cost. Coed from ages 7 to 15. Located on the campus of Blair Academy, a distinguished boarding school in rural Blairstown. They utilize the dormitories, art studios, performing arts spaces, sports fields and other facilities of this picturesque 525-acre campus. Activities include team and individual sports, drama, dance, swimming (heated indoor pool), ceramics, crafts, drums, guitar, skateboarding, ultimate, gymnastics, squash, tennis and lots more. Every camper chooses her/his own activities every day. A Christian based camp under the direction of the Episcopal Diocese of Newark . The summer camp experience packed with fun activities, faith building and new friendships. The program is based on a safe and diverse Christian Community for all to enjoy. The summer camp experience provides action packed days, innovative evening programs, various worship and faith building experiences, comfortable cabin living, new friends, and a close family like atmosphere. Situated on a hillside overlooking Little Silver Lake, with 125 acres of forests, wetlands, fields and lawns with programs having a Christian focus. The Salvation Army's 's Star Lake Camp offers an array of outdoor activities for children and is staffed by Christians. The goal is to serve the needs of campers; physical, social and spiritual. For the physical needs, the aim is to help the camper develop good health habits in cleanliness, proper rest, balanced diet, exercise and care of the body. To meet social needs the camp provides an opportunity for each camper to contribute to and receive from a group living experience. The aim is to help campers make their own right decisions, stimulate creativity and foster independence. This is a non-traditional decentralized camping and outdoor education experience. They believe that being in groups and being deeply involved in your own experience is the best way to learn and grow. 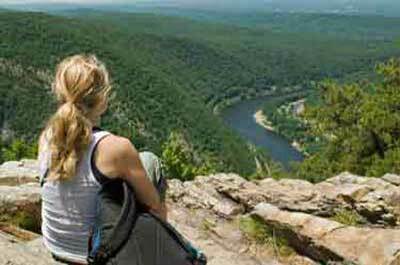 The programs take place on their beautiful 1000 acre estate in Sussex County, New Jersey. Decentralized programming puts the camper in control! Each day's schedule is tailored to the interests of the group as such, no two sessions are ever the same. Campers experience life in the outdoors by living in tepees and canvas hogans in family-like small camps of 8 to 10 peers, gathering around the fire circle for nightly pow-wows where songs are sung and games are played, after a day filled with a wide variety of outdoor adventure activities, such as mountain biking, swimming and canoing in our 55 acre lake, archery, nature crafts, hiking and backpacking, outdoor cooking, and fishing. Co-ed, open to kids entering grades 2-10. Campers are grouped into Units by gender and age, with each Unit divided into cabins composed of 8-10 campers and 2-3 counselors. They strive to have campers gain a sense of independence with the freedom to be themselves by offering a variety of activities designed to build confidence, try new things and have fun. A combination of personal choice activities and scheduled programming means that campers have the freedom to customize their experience. Activities include swimming, arts and crafts, basketball, archery, climbing tower, volleyball, canoing, mountain biking and more. Their sleep way programs are geared to inspiring boys & girls to try new things, build & strengthen friendships, reach for new goals, and become more caring, responsible, respectful and honest. Offers traditional and varied elective program with emphasis on the outdoors. Modern facilities on a 460 acre campus adjacent to the Delaware Water Gap National Park. There are three kinds of activities at camp: cabin activities, instructional activities, and evening activities. Cabin activities are planned and carried out by cabin groups, the 8-10 bunkmates that are the foundation relationships of camp. Instructional activities are individually selected; a camper chooses three activities for the week, and participates in that activity with other campers who also chose it. Evening activities are large group activities: the whole camp gathers for a campfire or talent show, individual villages play at games or events, or one village sometimes joins another for an even larger group activity. We stay busy at camp! They offer a special HomeAway, one-week sleep away camp experience that is open for currently enrolled 8-13 year old boys and girls. Campers spend Sunday to Friday living on our campus in fully outfitted dormitory "bunks", attending their normal Harmony programs during the day in their regular groups and remaining on grounds after the vans leave to spend the afternoons and evenings engaged in fun, supervised activities. They offer summer day camps and overnight camps for kids (ages 6–12) and teens (ages 13–18). Co-ed programs include iD Tech Camps for ages 7–17, iD Tech Academies for teens ages 13–18, and iD Tech Mini for ages 6–9. For ages of 7 and 13 for less fortunate children from Middlesex County. The camp asks school nurses to recommend students to the camp, and also receives referrals from guidance counselors, principals and the New Jersey Department of Youth and Family Services. They look for children who would not otherwise be able to attend a summer camp. Children who attend the camp participate in activities like swimming, arts and crafts, sports, nature, campfires, dance and drama. They also hold fire-safety lessons, sessions on anger management, self-esteem and other character-building skills led by a social worker employed by the camp. A community of creative, welcoming artists exploring music, theater, dance, visual arts, photography, video, recording arts, creative writing, sports and swim. Professional artists and arts educators will guide your child's development based on his or her skill level and interests. They offer a camping experience based on Quaker values of Simplicity, Peace, Integrity, Community, Equality, and Stewardship. Their programs nurture the spirtual, social, physical, and emotional growth of children and young adults.Children from all racial, religious, and socio-economic backgrounds are welcome. The summer camping programs are geared for kids 2-17 years of age, of all interests, needs, and backgrounds. The camps offer a variety of programs that focus on healthy, developmentally, appropriate experiences, discovery, and learning opportunities for leadership and personal growth.